Following on from yesterdays coverage of the Elddis range of tourer caravans from the Explorer Group we will be covering the Compass and Buccaneer range today to conclude our coverage of the Explorer Group. To start off with we will be taking a look at the Compass range of touring caravans from the Explorer Group. They are classed as the next step up from the Elddis range, however they target the same price range and offer similar specifications to the Elddis range. We shall try to find out what the differences are between these, seemingly, similar ranges of touring caravans. 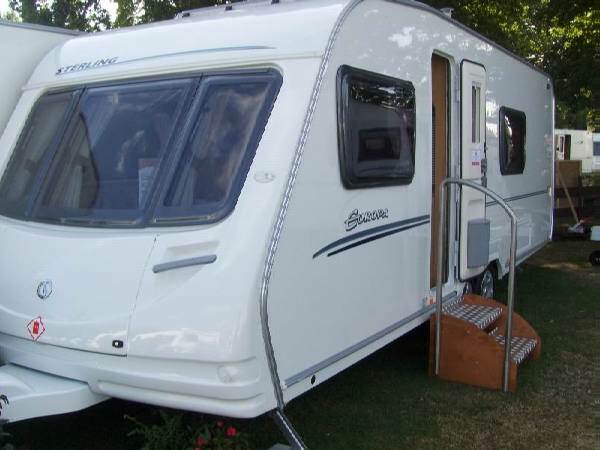 The Compass Corona 2008 model is available in 2, 4, 5 and 6 berth touring caravans and range from £11495 to £14895, the same as the Elddis Avante Club. Below is a group of pictures of the Compass Corona 2008 model taken at the HERCMA Lawns Caravan Extravaganza Weekend in Cottingham, Hull. There isnt a whole lot to be said about the Compass Corona touring caravan 2008 model that hasnt already been said about the Elddis Avante Club it has the same cushioning in the seats and the cupboards and other fittings appear to be made to the same exacting standards of the Lower Elddis range. The thing that upset about this model of the Explorer Groups 2008 Compass touring caravan range is that they have the toilet and shower in the same room with little preventing a wet toilet seat. I am fully aware that Compass designed the 2008 Corona with the toilet and shower as one unit to save on space but I would rather see a truly unique answer to having a shower and toilet in such a small touring caravan. On the next page I will be covering the "mid range" Compass Omega 2008 tourer.